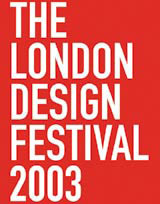 First of all, congratulations to John Sorrell and his team for delivering a great London Design Festival experience. But I’m not surprised there’s been so little talk about the most significant new design event in the calendar for a long time. 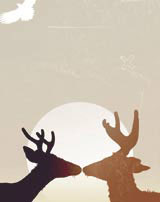 And why the silence? Well the design industry didn’t show up at the World Creative Forum. I recognised a handful on the delegate list. I don’t believe that there was a lack of enthusiasm, or that cost was a barrier, but that the ability to take time out is the big issue. Two working days away from mobile and e-mail is the only way to take on board this kind of creative refuelling, but it must be accessible for groups, not just individuals. I’m sure the festival crew has loads of ideas about how to get industry numbers up. Personally, I’d make it accessible for everyone by allowing a consultancy to share a ticket so that creatives and marketers can taste different things from the Ã¡ la carte menu and bring ideas back into their businesses. It’s a sign of the times that our attention span for development is minutes, not days, but there are ways to make it easier. I’m looking forward to next year, but hope a group of us share the experience.